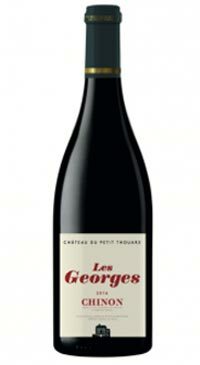 This wine is named after the present day owner’s ancestor Georges Aubert de Saint Georges; who acquired Château du Petit Thouars and became the Comte du Petit Thouars in 1636. The Cabernet Franc grapes are fermented with the skins for good tannic structure, aromatics and depth of fruit flavour. The nose is pronounced with red fruit, floral notes and white pepper. 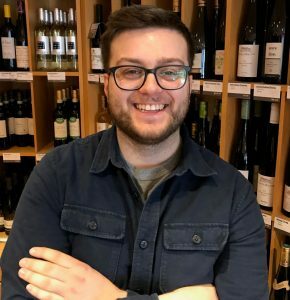 In our shop, the powers that be have made a point to bring in some delicious wines made from the Cabernet Franc grape and “Les Georges” from Chateau du Petit Thouars is no exception. Hailing from Chinon in the Loire Valley, floral notes – mainly violet, occupy the nose along with red fruits like cherry, raspberry, and pomegranate. Gulp this down over some charcuterie or on its own with friends.